This post was made possible by iMyfone through compensation. The actual contents and opinions are the sole views of the author, who maintains editorial independence, even when a post is sponsored. For more details, please read our disclaimer. Like getting involved in a land war in Asia, buying an iPhone with 16 GBs of storage is a classic blunder. Apps, photos, videos, and everything else is getting larger. While you could get away with a 16 GB phone five years ago, now it’s next to impossible. If you’ve got a 16 GB iPhone, or even a 32 GB model, you need to manage your storage carefully. It’s easy to fill the hard drive completely if you download a few popular apps and use your phone as a camera. While you can clean up some space on your iPhone, it’s awkward and slow. I’m going to show you a better option: iMyfone Umate. iMyfone Umate is a Windows and Mac app that frees up storage on your iPhone. 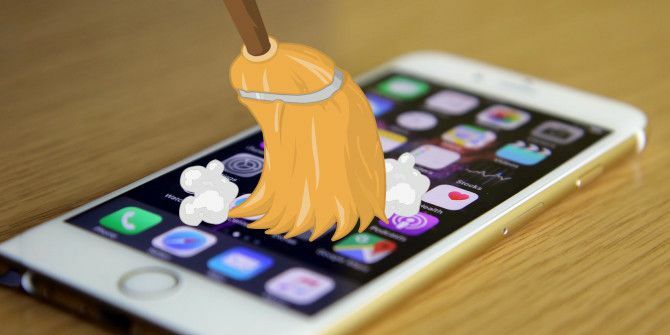 To use iMyfone Umate, connect your iPhone to your computer, scan the device, and then choose which kinds of files you want to get rid of. It’s as simple as that. With iMyfone Umate you can remove or compress five kinds of files: Junk Files, Temporary Files, Photos, Large Files and Apps. Junk Files are things like crash logs. They build up as you use the device but, unless you’re a developer, you don’t really need them. They don’t take up too much space, but they still save a bit. Temporary Files are mainly app caches and failed downloads. Every app will store data it needs in a cache. If you no longer use that app, however, that cache will sit there wasting your already limited storage space. Any app you do use will quickly rebuild its cache next time you start it. iMyfone Umate doesn’t just delete all your Photos and videos and go, “Look at all the space you’ve saved!” Instead, it losslessly compresses them and backs up the originals to your computer. How much space you save depends on how big the original files are and what sort of data they contain. For some things you can save as much as 75% of their initial file size. Large Files flags the biggest files on your device. If you have any 500 MB videos sitting in your camera roll, it’ll show them and give you the option to back them up to your computer and delete the originals off your device. It’s great for getting rid of big video files that otherwise sit unnoticed. Finally, the Apps section lets you delete apps. It’s nothing you can’t do on your iPhone but the interface is far easier to use with iMyfone Umate. No more watching apps jiggle. To be honest, I was sceptical about reviewing iMyfone Umate when I was asked to do it. Any time you visit less-salubrious corners of the Internet, you get bombarded with ads for software that promises the world but delivers Kansas. The good news is, iMyfone Umate is nothing like other apps that underdeliver. It’s actually really good! I’ve a 64 GB iPhone 6s Plus that’s about eight months old. Before running iMyfone Umate, I had 49.8 GB of used space and 11.88 GB of free space. After using it to clean my phone, I had 34.22 GB of used space and 24.83 GB of free space — a saving of 12.95 GB. That’s more than 30%, which is crazy. Even more crazy, is I didn’t do much. I just removed Junk Files, Temporary Files, and a couple of small apps that I’d been meaning to delete anyway. I saved about 250 MB of space from junk files and another 1.2 GB from deleted apps; the rest was all Temporary Files. Freeing up 15 GB of space would be pointless if it made my iPhone worse to use. I was worried that iMyfone Umate might have deleted my downloaded tracks in Spotify, articles in Instapaper, or audiobooks in Audible. It didn’t. 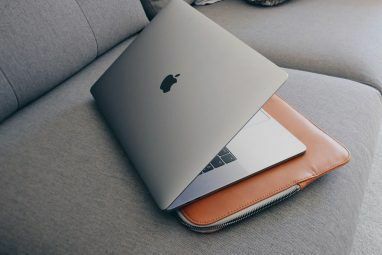 I used my iPhone normally for a while between running iMyfone Umate and writing this article to give it a proper test. It seemed as fast as ever. Apps weren’t slower to open or missing data. It doesn’t seem like anything crucial was accidentally removed. Although I didn’t see a speed benefit, that’s most likely because I’m using a newish iPhone that already had plenty of free space. If you’re using an iPhone that’s almost full, you might see a performance improvement after running iMyfone Umate. At the very least, you’ll be able to store a lot more of the stuff you actually want. iMyfone Umate costs $19.95 (usually $29.95) from the developer’s website. There’s also a free trial you can download, which lets you scan your iPhone to see how much space you can save. The free version will also remove junk files once, compress the latest five photos and remove one app. For the full suite of features, you’ll have to register for a license. Exclusive offer: MakeUseOf readers can save 67% on a iMyfone Umate license. Get it now for just $9.95 and save a further $10! Buy iMyfone Umate for Windows and Mac OS X ($29.95 $9.95). I was really impressed with iMyfone Umate. Space-saving apps are a famously scammy category. It’s great to see one that over delivered on its promises. It managed to save me over 15 GB of space. That’s more than the user storage you get with a 16 GB iPhone. iMyfone Umate isn’t free but it’s easily worth the $20. If you’re trying to prolong the life of an old iPhone, it can really help for a fraction of the the cost of a new one. Remember, MakeUseOf readers can get a copy of iMyfone Umate for Windows and Mac OS X for just $9.95! If you’ve an iPhone with a 16 GB of space, you’ll benefit from running iMyfone Umate regularly. If you’ve got a 64 GB iPhone, you probably won’t hit your storage limit, but Junk Files and Temporary Files can slow down your iPhone. Have you run out of space on your iPhone? What ways have you tried to clear it? If you haven’t already, you should try iMyfone Umate; it might be just the tool you’re looking for. What you don't say and what is misleading is that it does NOT delete the "documents and data" part of the individual apps I have on my phone. That is what is eating up most of the storage on my phone, and most phones. It did compress photos from 2 to 1 GB. Deleting the temp files did not result in the additional storage amount claimed. And I paid $20. After all this, I gained only 1.3 GB on 12GB storage. I should say iMyFone Umate is a good iPhone cleaner, and it also works for my iPad. I really like it. My phone runs slowly these days. This software helps release about 2GB space on my phone. Now, it seems to run faster!!!! Nice cleaner. And it is cheap. My old iPhone 5 works better after using it. It's so nice! With a 16G iPhone, I always worry about my storage, iMyFone Umate helps free up lots of space, love it. BTW, I love the function to clear "Junk Files" best. i run it for my 32GB iPad, and it get back more than 3GB for me. Used trial version for restoring. It did nothing. I was advised to purchase full pro version, which I did. It recognized the device, but did not restore it as promised. It put the device into perpetual recovery mode. Requested a refund, which was refused. This appears to be a scam. The program shows that the iphone is connected but not recognized. It does nothing then. The seller takes no responsibility and does not refund the money. It appears to be a shady business. Purchased the software, which did not allow me top run the ERASE functions. Tried to contact the company, and emails mysteriously not received. Have I been scammed??? We appreciate your order for iMyFone. iMyFone Umate is an iPhone cleaner which could save you huge space. It does not have the erase functions. I suppose you may refer to iMyFone Umate Pro which is an iPhone eraser. They are different. Hope you would understand! If you still have any question, please contact us via Email: support@imyfone.com. We always try our best to help customers resolve problems. imyfone is a scam!!! It makes all sorts of claims about what it can do and backs them up with a 100% money back guarantee. I purchased the software and it didn't work as advertised. When I tried to get my money back they declined to refund me. This is a complete scam. Don't fall for it. I also noticed that this is a scam. For system recovery it can do the same as the itunes software and that is for free. I also did not get my money back. Thank you for your order of iMyFone. We are sorry to hear that you have such bad experience. May I know more details about the issue? So we can try our best to help you. Please don’t worry about that, if it’s the issue of our software, we won’t flee our responsibility. And if you have any question, you can always contact us via Email: support@imyfone.com. Is there an app like that for Android? There should be. Android gives a lot more access to the filesystem and the like so it'd be easier for developers to make one. You can probably get an app that runs on the device itself! 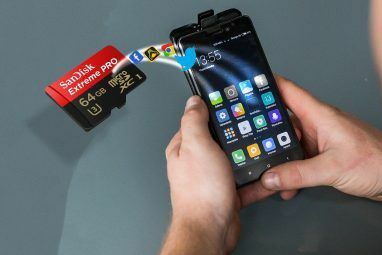 Umate pro now available, which can not only save huge space for your iPhone, but also permanently erase all your private data on iPhone, ensure that all your erased data can not be recovered by any recovery tools. Have not received my license code. It has been 3 or more hours and I have contacted their support email with no luck. We appreciate your recent order for iMyfone. Thank you again for your understanding! I have an iphone 5s and a windows computer. Which version do I need? You'll need the Windows version. Does this work on iPod? Thanks. Yes. iMyfone Umate can work on iPod. iMyfone Umate is a computer-based software to free up space for iPhone, iPad, iPod Touch. Yeah it's super handy, especially if you've got a 16GB iPhone. Hopefully the iPhone 7 will come with a bigger hard drive by default. I had 3.5GB free and after cleaning and several crashes 350 Mb still free ?? Hmmmm maybe contact support? Some of the caches it cleans are going to be re-written pretty quickly so you won't see all the free space lasting. Awesome. Thanks for the special offer. No problem! We love bringing great deals to our readers. Really work well, get 5 GB back for my 16GB iPhone 5s! Glad to hear it Kelly! That's a lot of space to save. "If you’ve got a 16 GB iPhone [i]t’s easy to fill the hard drive completely..."
I've yet to see a phone with an actual *hard drive*. I'm gonna blame my editors for this one. ;) And use the fallback that hard drive is now the general term for a storage device. Good works, I recover 5GB free space! I recently got iPad Air (not my fav, but have 2 use it for company stuff). Hope to try this out! If your boss is buying I'd try get him to fork out for a bigger SSD!! !